Today I want to share with you one of my favorite tools for learning the grammar of the foreign language. I recommend using grammar cheat sheets to all my students who are learning German. German grammar might seem very complex, especially for beginners. But when you have a clear and understandable grammar cheat sheet in front of you, you feel like it is not as bad as it seems at first sight. I noticed that many beginners don’t feel confident speaking German because they are constantly trying to remember how to conjugate the article or adjective, or which case to use after which preposition. With this simple grammar cheat sheet in, you can easily find the conjugation that you forgot and concentrate on speaking. You can download this free printable cheat sheet or make your own. The concept of a grammar cheat sheet is very simple and you can easily create it by yourself. It shouldn’t be too long, the best is just one A4 page. The grammar cheat sheet should contain only the most essential grammar rules. For example, if you are learning German, it could be definite and indefinite articles in different cases, adjective declensions etc. Don’t worry about exceptions at this point, you will start remembering them too, once you learn the basics. Conjugation of definite and indefinite articles in 3 cases: Nominative, Dative, Accusative. 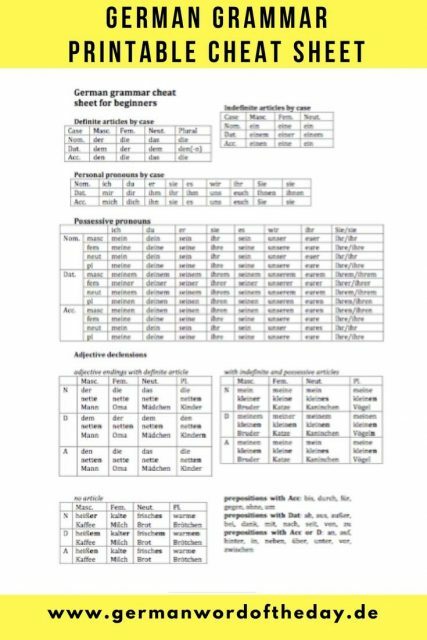 Conjugation of personal pronouns in Nominative, Dative and Accusative. Enjoy your cheat sheet! 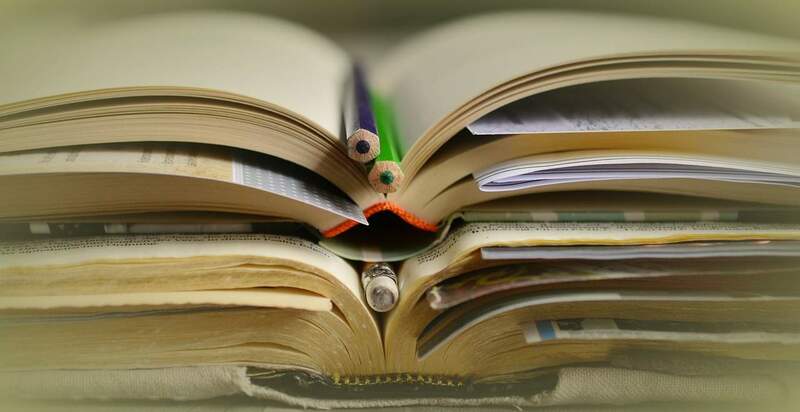 Which grammar topic is the most difficult for you?